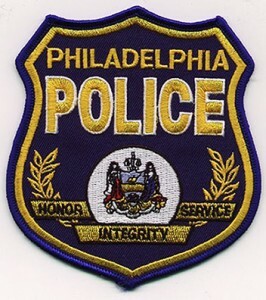 Just days after an ISIS supporter ambushed Philadelphia Police Officer Jesse Hartnett, a disturbing tip suggests a possible new threat against the city’s cops, CBS Philly reports. The FBI has joined police to investigate the possibility of new attacks. Police are trying to determine whether Edward Archer was part of a wider threat against police after he shot the 33-year-old officer inside his patrol car. “I just got off the phone with the agent in charge of the FBI and he gave me an update that’s pretty much status quo, but they are looking to put their hands on some folks just to talk to them,” Police Commissioner Richard Ross told Eyewitness News. Officers have been ordered to drive with a partner. “We have to do it, in light of the information we received yesterday. We’d be remiss if we didn’t look at that. We still don’t know if there is anything more involved,” the commissioner said. Posted: 1/12/16 at 11:35 AM under News Story.